I’m often asked about my take on unlimited vacation policy, and whether or not I believe that such a policy is good for business. I’ve never seen an unlimited PTO policy harm a business, but I have seen traditional vacation accrual policy (when employees earn time off for every day worked, up to a maximum each year) create all sorts of issues with early stage companies. At Hireology, we have been an unlimited PTO company from day one and we’ve never once considered altering it. It’s been a fantastic policy for us – and could be for your company – for four reasons. 1. You eliminate administrative overhead. All of the time and effort spent logging and reporting and adding and subtracting vacation day balances falls on at least two employees in your company: the person with the vacation time, and the one or more members of the company whose job it is to manage and track it at a company level. When you’re following a vacation time accrual policy, you’re taking on administrative overhead that might seem small at first, but over time really adds up. Consider the following question: would you rather have your a member of your sales organization spending that extra hour figuring out how much time they can take off, or trying to win new business? 2. It will improve your cash flow. When you run an accrued vacation policy, accounting rules require that you book all of that vacation time as a liability on your balance sheet. As that vacation time is used by the employees who accrued it, the liability is reduced. However, when employees quit or are fired with a vacation time balance, you are required by law to pay out that accrued balance. When you’re the CEO of a high-growth, cash-constrained company, the last thing you need is another demand on the cash flows of your business. Running a vacation accrual policy adds yet another drain on liquidity that you need to worry about. 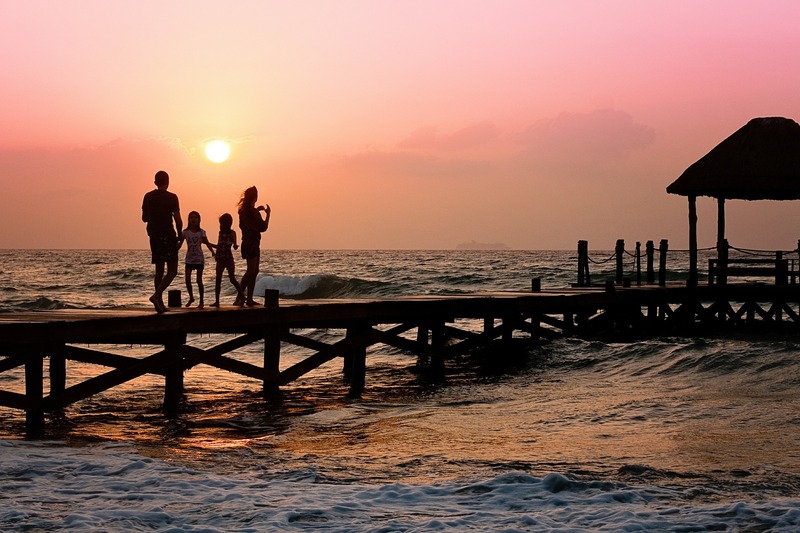 With an unlimited vacation policy, since vacation hours are not accrued, there’s no liability. Since there’s no accruing liability, there’s no “banking of vacation days” that lead to a payout if your employee quits or gets let go. 3. It’s an amazing recruiting tool. My first two reasons for considering an unlimited PTO policy focused on the bottom-line. The most important reason to consider going with unlimited vacation time is that it’s a huge boon to your recruiting efforts. When a high-potential prospective employee is weighing their options between Company A and your company, the company that’s offering the unlimited time off has a huge leg up in the process. If all else is equal in the eyes of that job seeker, then the unlimited PTO policy might just carry the day. In fact, if I know we’re trying to recruit someone away from a company that limits employee time off, then I know that I have a huge weapon to wield, and I will absolutely use it to our full advantage. “Two weeks of vacation after two years on the job? That sounds pretty light.” Most prospective employees think so, too! 4. Individual accountability will skyrocket. The biggest myth about unlimited PTO is that people will abuse the system. In my experience, it simply does not happen. For starters, rarely will employees take more than a week off at a time; the usage of vacation time in an unlimited PTO policy environment closely mirrors usage in one with an accrued vacation policy: most requests are for two or more days off or less, with the longest time off averaging five business days. However, when someone wants to utilize the company’s unlimited PTO perk and take an extended trip (longer than a week off), doing so requires them to prepare extensively so they don’t dump a pile of issues on the co-worker whose job it is to cover for them while they’re gone. This preparation requires high levels of employee accountability because they know that leaving a flaming mess for a colleague to deal with is a pretty crappy thing to do. Team members will bend over backward to cover for one another because everyone wants to have the opportunity to enjoy an extended break. You may experience few crises and fire drills but in the end, everyone is happier, including the CEO. If you’re not already employing an unlimited time off policy, now’s the time to give it a good look. The only person who will be disappointed is your CPA when they have less cleanup to do at the end of the year.